Mandy is a UKCP accredited psychotherapist and clinical supervisor. She is a seasoned teacher and trainer. Building on both her clinical experience and educational background, provides a warm, collaborative environment to encourage exploration and learning. 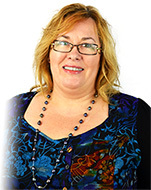 She is passionate about Transactional Analysis, relational psychotherapy and co-created learning. Training initially as a humanistic counsellor, Mandy is a Provisional Teaching and Supervising Transactional Analyst. In her thriving clinical practice, Mandy works with individuals, couples, families and organisations. She is a clinical supervisor, course tutor at Peter Symonds College and a visiting trainer and examiner at other counselling and psychotherapy training centres. Mandy provides bespoke training and workshops on areas such�as eating disorders and weight, trauma, depression and anxiety, setting up in private practice, communications business development and marketing. Mandy originally trained as a nurse and later enjoyed working as a senior lecturer in the Business School at Greenwich University. She has a special interest in the experience of learning. Counselling couples can be challenging. Not only are there two people and their intrapsychic processes to manage, often couples are experiencing a crisis when they come to therapy. Transactional Analysis (TA) works well in the context of this kind of work. In this workshop we will explore a range of TA concepts and explore together how they can be used. This exciting one-day workshop will combine theoretical knowledge and practical application of assessing couples and �how to� work with them in short term client work. Using case examples and experience we will be encouraging a sharing of our own knowledge through working collaboratively. Introduce some key concepts of TA that are useful in working with couples such as psychological games, rackets, interlocking script patterns, transactions, contracting, dimensions of assessment. An introduction to couples work, and a thorough analysis and discussion of case studies. An opportunity to discuss current difficulties faced in the therapy room with your own couples. Practical ways of working hands on including interventions and methods to adopt in your own couples� practice. An appreciation of a range of interpersonal and intrapsychic processes that might be present in the couples� dynamic. Understand and apply interventions and concepts to your own work with couples. Apply TA concepts and principles practically to your work with couples. The workshop will equip you with the tools you need to work more confidently with couples.